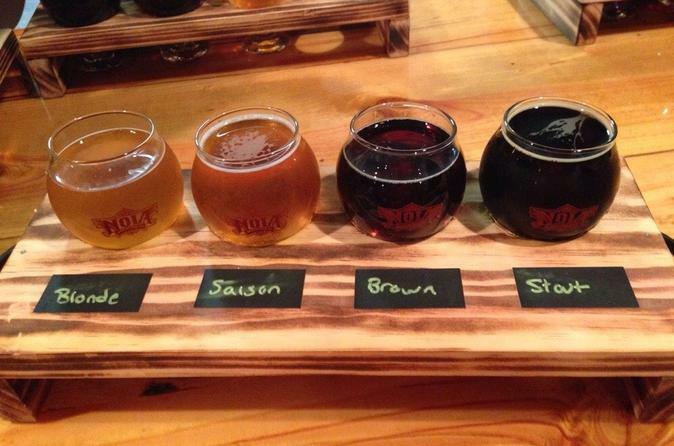 Sip your way through New Orleans with this 3-hour small-group brewery tour. Get picked up at your downtown hotel and shuttled directly to private tours of three local breweries, where you will sample multiple craft beers at each location while learning about them. This is the only brewery tour in New Orleans that does hotel pick up and gets exclusive behind the scenes access to the brewing floors! Get picked up in an executive limo van from your hotel in downtown New Orleans. Once the group of no more than 14 is assembled, head to the first brewery. Visit 3 New Orleans breweries, ranging in size from nano-breweries to microbreweries, where you will learn about the different brewing processes that are involved as well at the history of brewing in New Orleans. Enjoy samples of at least 6 handcrafted beers over the course of the tour, included in the cost. With a small group size, you'll have plenty of opportunity to ask questions of the brewery staff and your guide. Tours run about 3 hours door-to-door.